A majority of marketers believe that influencer marketing attracts higher-quality customers to their business. This could be because social media users tend to be more affluent and more likely to recommend products to family and friends. 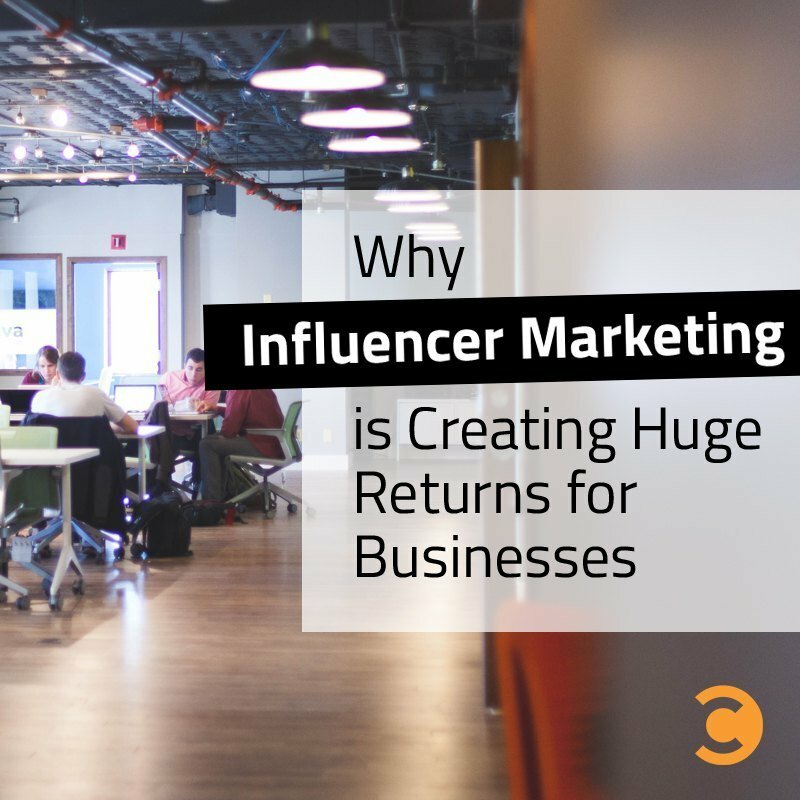 On average, businesses generate $6.50 in revenue for each $1 invested in influencer marketing . 70% make $2 or more, and 13% make $20 or more. Most businesses get solid results from influencer marketing, with just the bottom 18% failing to generate any revenue. 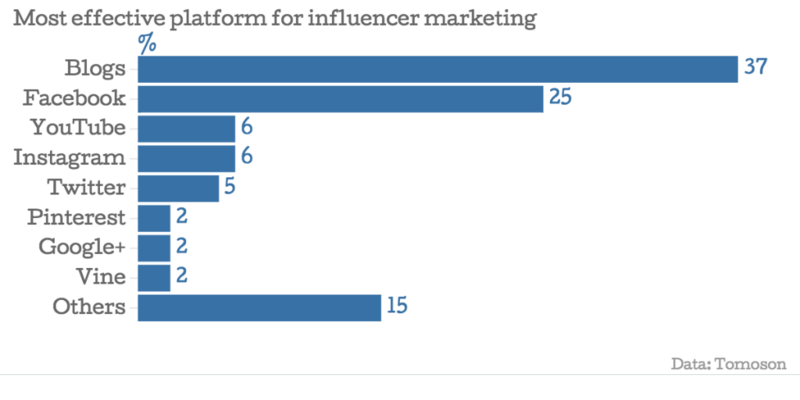 Blogs and Facebook are by far the most effective outlets for influencer marketing, dwarfing YouTube, Instagram, and Twitter. 37% said blogs were their most effective platform, and 25% said Facebook. If you don’t focus much on either, these results suggest you should give them both a try. Most marketers are increasing their influencer marketing budgets over the next 12 months, with just 11% maintaining current levels and 10% planning to reduce spending. Now is a good time to reach deals with influencers, before they get too busy with increased demand. Marketers rated influencer marketing as their fastest-growing channel for acquiring customers online. Organic search and email are too mature to provide the same yearly growth that influencer marketing now delivers. Affiliate marketing and display advertising performed poorly, scoring below 10%. 22% of marketers say influencer marketing is their most cost-effective customer acquisition channel. Email received the same percentage, while organic search came in third with 19%. Affiliate marketing performed poorly, ranked most cost-effective by just 2% of marketers. 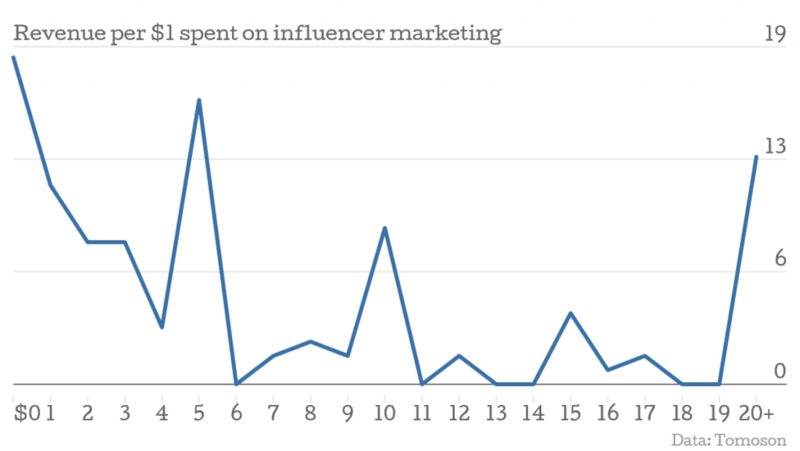 Influencer marketing is quickly becoming one of the most important online marketing channels. Budgets are growing fast, and marketers are seeing strong returns. The vast majority of marketers are generating real revenue from influencer marketing, and the top 13% are making $20 or more for each $1 invested. With returns like this, budgets will keep increasing for the foreseeable future. Currently influencer marketing is so cost-effective that marketers can afford to make mistakes, learn, and refine their process. They can try different influencers, gather analytics, and become more sophisticated buyers. At the same time, influencers are becoming more savvy and figuring out the best way to engage with their audience. There has never been a better time to get started.